Keno is a game of chance similar to lotto or bingo. Simply put, it's a number guessing game. In Keno, there are 80 numbers to choose from. Keno can be played in real life, or electronically. 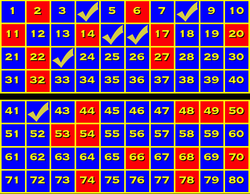 In most electronic versions of keno, users can choose between two and ten numbers. The game of keno is also played in many casinos, and there you can pick up to twenty numbers. We'll discuss the electronic version of keno and mention notable contrasts to casino keno when appropriate. In either electronic keno or real life casino keno you start the game by choosing your numbers, then you choose how much to bed. Electronic versions of Keno typically allow you to bet much more than real casino versions of keno. 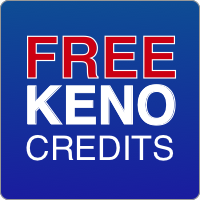 Our Keno apps allow you to bet between 1 and 10,000,000 credits (in various increments). In real life, keno numbers are drawn at different rates, but normally fifteen to sixty seconds span between each number being drawn. In our versions of keno for iPhone and Mac we offer various rates at which you can play keno. After you adjust your keno bet, and choose the keno speed, you press go and watch as twenty keno numbers are drawn and show up on the keno board. In some of our keno apps, we simulate real life keno balls falling. Keno is a game of luck, hitting the keno screen, cashing out your keno ticket, or changing your keno numbers really has no baring on winning at keno. Keno, when it's fair, is just a random game of chance. 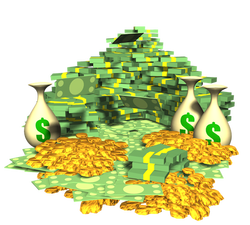 The odds are certainly in the favor of the house, as with all casino games. Our keno apps are no different. Some users have even e-mailed saying that they're having a hard time winning at keno. I always let them know that our keno games are random, and the keno numbers that come up are programmatically randomized. We don't prohibit keno players from winning, or cause keno players to win. Those specific keno numbers I mentioned above are an example of my favorite keno numbers. Most avid keno players have set keno number combinations that they like to play. Some keno players insist that to win at keno, you must 'change up your keno numbers.' Other players do crazy things to win at keno like, when they're at a casino, they will cash out their keno ticket and put it right back in the machine. And if that doesn't seem like the craziest it could get, another strange keno strategy is to rub the keno screen while the game is playing. Others insist on tapping on the keno screen while they're playing. In my experience, I've even seen someone so upset that they hit the keno screen so hard, it broke. It's Fun Playing Keno, Winning Coins, or Credits! Keno Coins, Keno Credits, Keno Fun! We hope that people are having fun playing our free keno apps. We made keno because we enjoy playing keno. 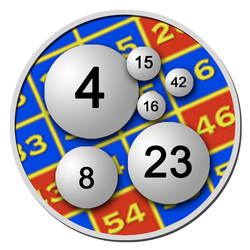 We have several variations of keno, from basic keno to keno with bonus games or extra balls. Keno Tap is a free classic keno game for iPhone, iPad and iPod Touch that allows keno players to enjoy regular old keno on their iOS device. In Keno Tap, you can mark between two and ten numbers and but up to ten million keno credits (if you have them). Keno Tap is and has always been a free Keno App. Keno Gold, the first Keno app that we made, is available for iPhone, iPad and iPod Touch. We built Keno Tap for the original iPhone, and of course it works on the iPhone 3GS, iPhone 4 and new iPhone 5. Really, the iPhone isn't the limiting factor for playing Keno Gold, the iOS version is what matters. Keno Gold is available for iOS 5 and greater. With the success of Keno Gold on the iPhone, we quickly introduced Keno Trek, and Keno Fairy. These games include their own unique bonuses. Currently, these keno apps are available free on the app store. Our philosophy is that Free Keno is much more easy to play that keno that cost. We want more people to play our keno games! Now, there is eXtra Keno which Keno players will love because it allows them to play classic keno with up to twenty extra balls. This really brings a great new twist to just playing keno. After all, most keno players have said at one point or another "Oh, I wish I had a few more balls" or "I just needed one more!" Extra Keno balls really increase your chance of hitting it big in Keno. With all the free Keno Games that we offer, there's no reason that you don't download one of our keno games today and become a keno player today. Keno is one of the most popular games in the world, and keno is one of the most popular games in the casino. When I go to a casino, there are lots of slot machines, and lots of people sitting at them. There are less keno machines in casinos and usually all the keno games are in use. Keno seats are usually being played, because keno players will sit for hours. Get started! Become a Keno player today. Many states have a game of lotto, which is very similar to playing Keno. Some states do also have Keno games, in addition to lotto or other gambling games. "I think I've found my new favorite keno app! " - B D.
-- Once you get our free iPhone Keno Games, make sure to add your review! Download Keno Today from the App Store, and begin playing Keno on your iPhone, iPad, or iPod Touch.